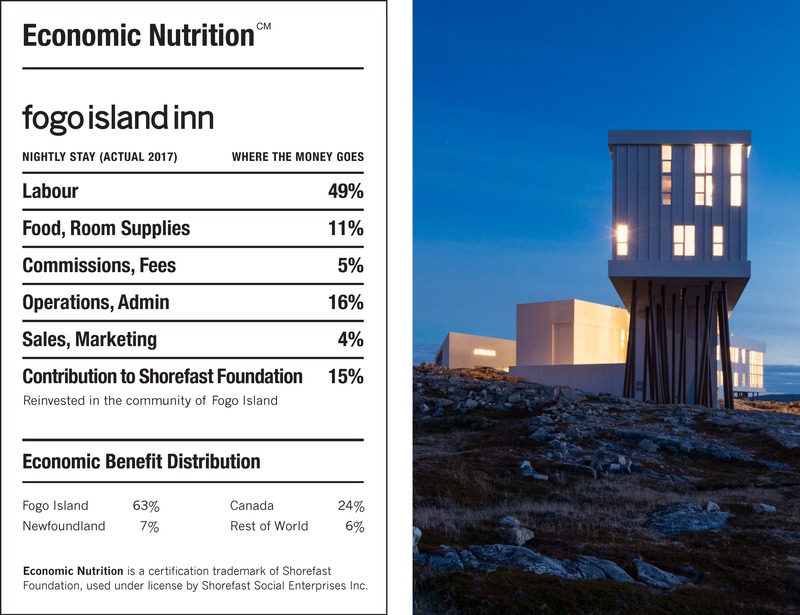 Shorefast, a registered Canadian charity with the mandate to help secure a resilient future for Fogo Island, pioneered the practice of economic nutrition certification by way of its social businesses, Fogo Island Inn and The Woodshop on Fogo Island. Most people are accustomed to seeing nutritional labelling on the foods and beverages they purchase. These labels allow consumers to make conscious and informed decisions about their food choices. Food nutrition labeling was revolutionary for the food industry. Now, we want to spark the same energy for change with the launch of economic nutrition certification. One of the strongest influences an individual can have is through their personal spending decisions. 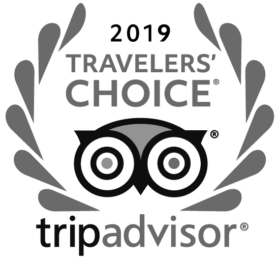 We believe that most consumers want to make purchasing decisions that positively impact people and planet. Unfortunately, information about where “the money goes” is rarely available and is certainly not readily available at the point of purchase. The information provided by our economic nutrition certification shows how your purchase impacts the local and global economy by detailing how the money you spend is distributed.